Create the right guest list for your next California event with the Modesto Invitation. Printed on high quality card stock, this invitation features a classic wagon wheel on a western road, with the rich blue sky above. 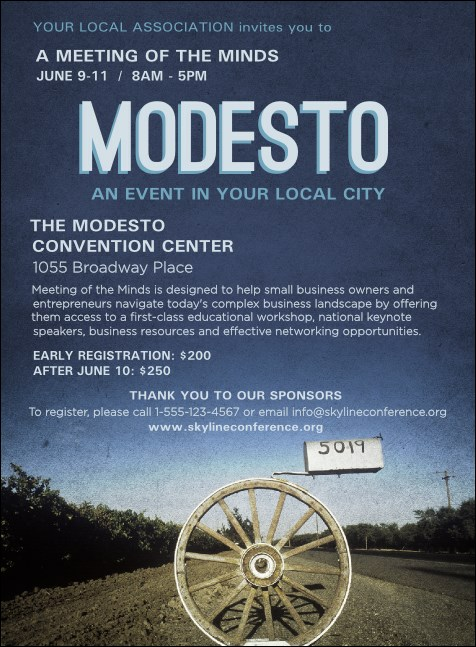 Whether you're celebrating the rich agricultural heritage of the region or a great local band, start your event with the Modesto Invitation. Guests will RSVP ASAP with the right invite from TicketPrinting.com.